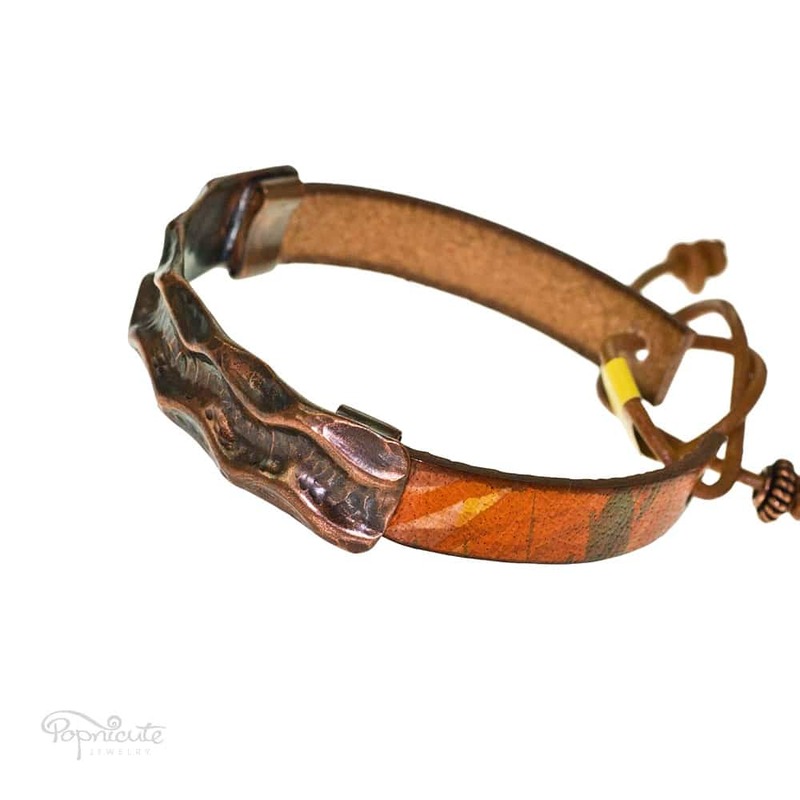 Unique textured copper bracelet with a genuine leather band in multicolor orange. The textured copper bar is one of a kind and made of carefully hammered copper pipe. 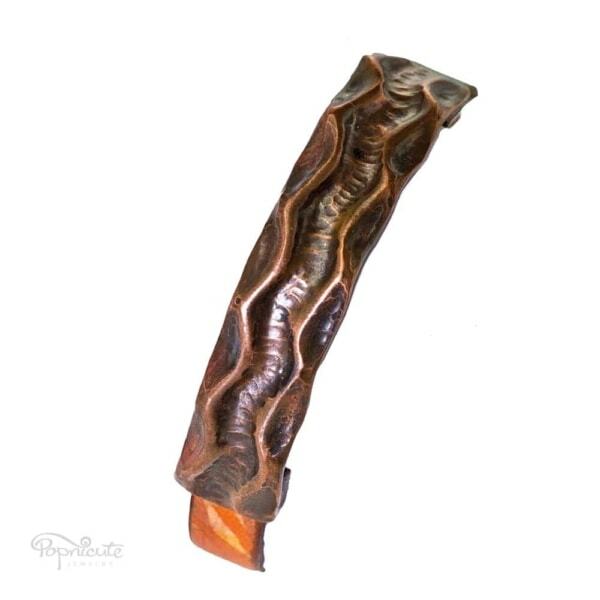 This process takes a lot of time to produce a beautifully textured copper bracelet. 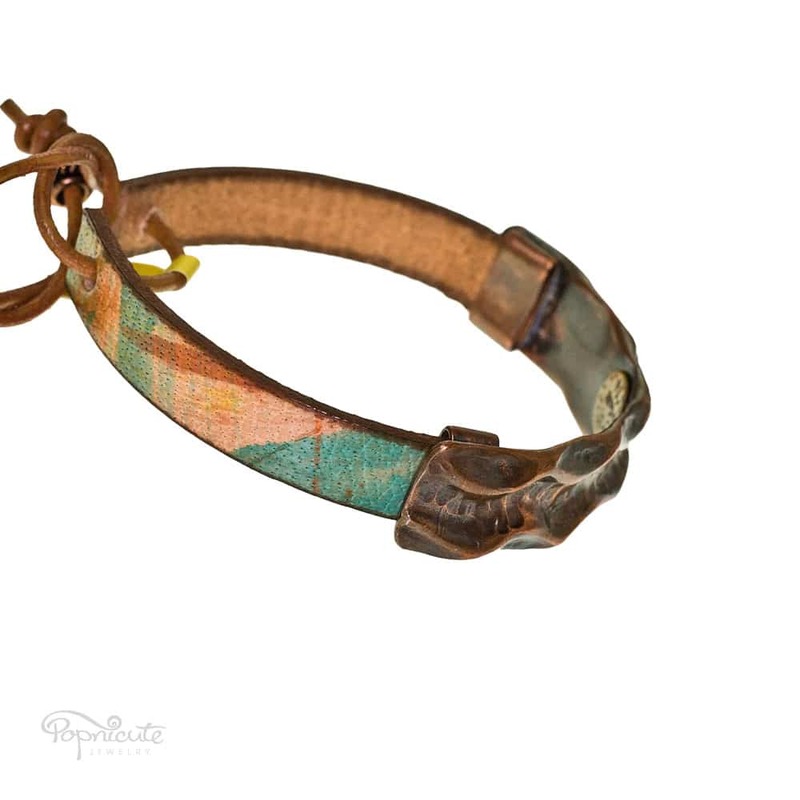 A great gift for a copper and leather lover. 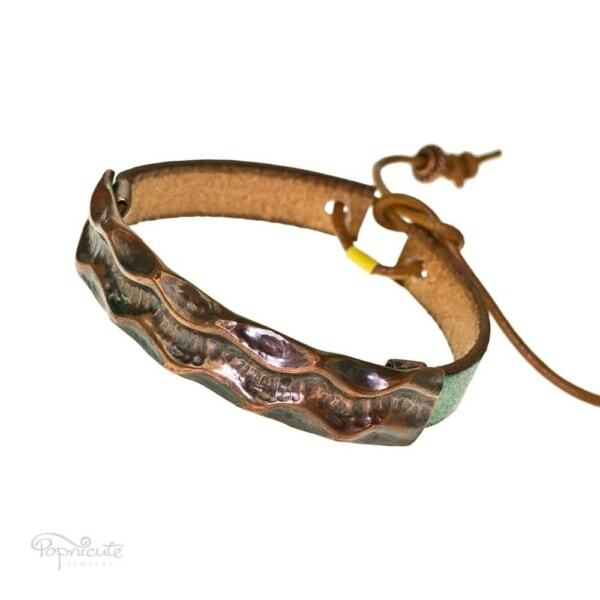 Stacking copper bracelet in genuine leather. 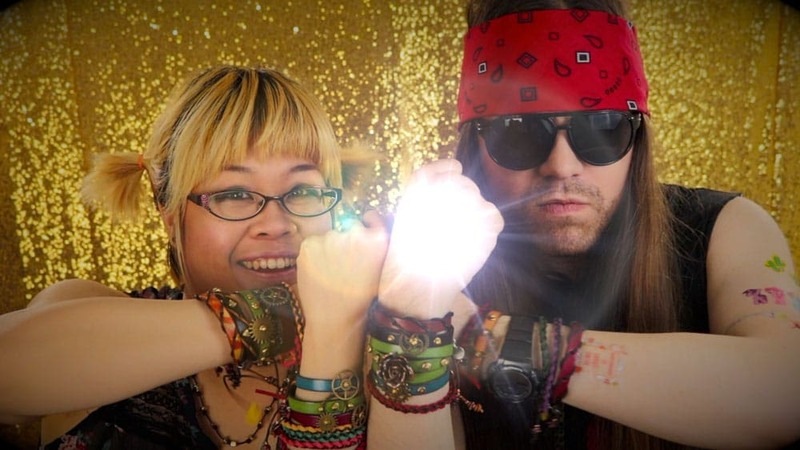 Wear more than one to look extra bada$$. The more the merrier! Watch the fun video below. 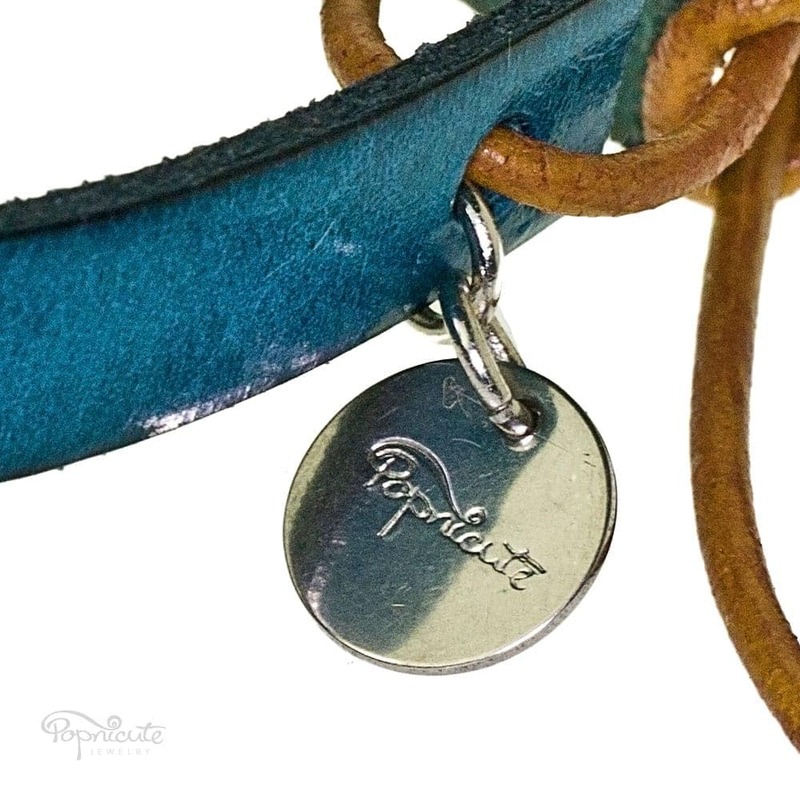 Each one of these leather bracelets come with Popnicute Jewelry signature tag in stainless steel. LENGTH: adjustable. 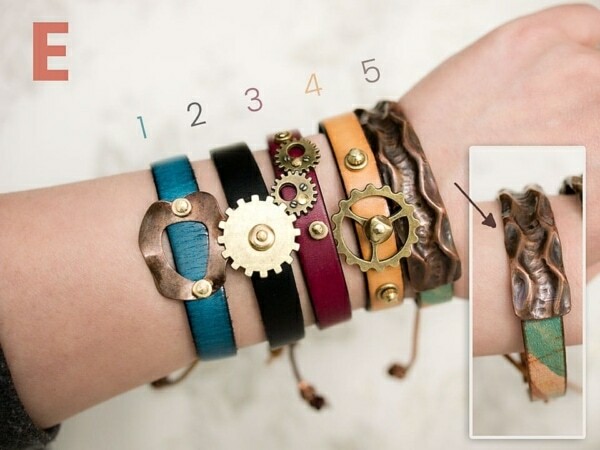 One size fits most (up to 7″ wrist snug). BAND WIDTH: 10 mm wide (3/8″). 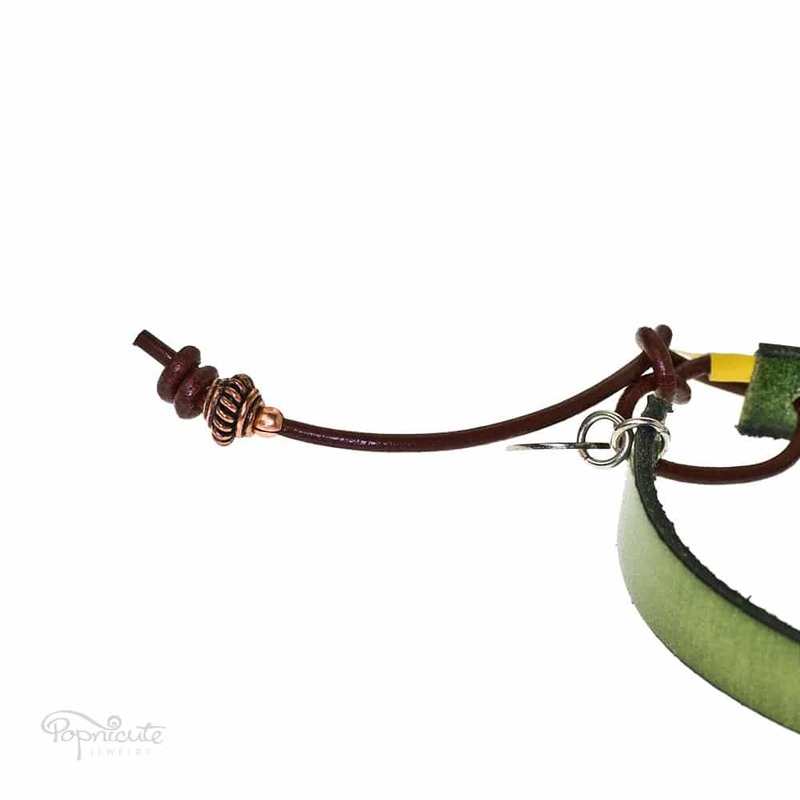 Check out the whole collection of the Bada$$ Bands for steampunk and leather jewelry lovers. All Popnicute Jewelry is handmade in the USA at my home studio in Quincy, Illinois and doesn’t contain nickel.